The new G-Star FW17 Campaign, a diverse celebration of individuality starring superstar Pharrell alongside a bevy of some of the most exciting creatives in fashion. Pharrell Williams – musician, producer, and G-Star RAW’s co-owner and Head of Imagination – stars in the brand’s Fall/Winter 2017 campaign alongside a diverse and dynamic collective of creatives, including Adwoa Aboah, Jean Campbell and Lennon Gallagher. More than just a campaign, the imagery and video sees some of the most talked-about stars of the moment showing how they wear the iconic G-Star Elwood in their own unique way. 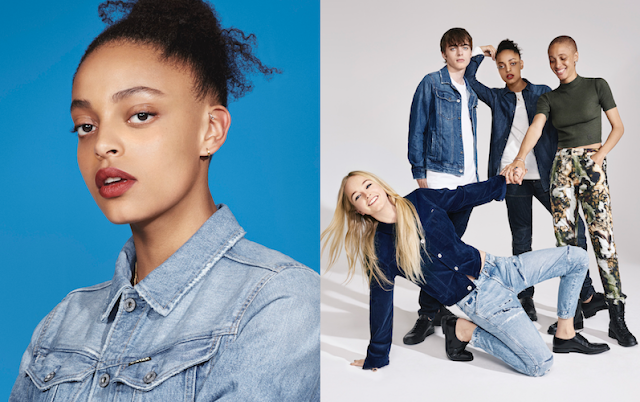 Captured by acclaimed artist/photographer Collier Schorr, the campaign shows Aboah, model, mental health advocate and founder of Gurls Talk, alongside her younger sister, Kesewa; fellow models Campbell, India Graham and Brooke Perry; Scottish actor and model Connor Newall, and Gallagher, model and son of Oasis frontman Liam Gallagher. The campaign was shot in New York.